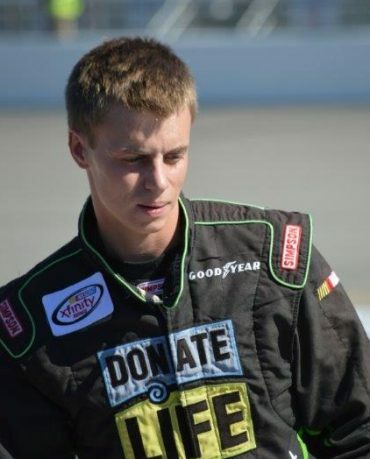 Joey Gase may be a rising star in NASCAR but he’s also a 24-year-old who, not too long ago, had to make the hardest decision he may ever face. Joey was 18 when his mother, Mary Jo, suffered a brain aneurysm at the age of 44 which tragically took her life. Since his parents were divorced, it was Joey who had to make the final decision. 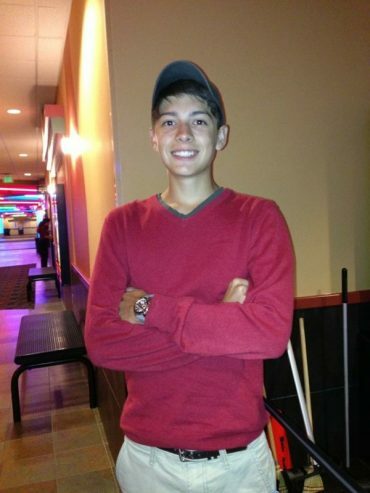 At the age of 18, Joey gave consent for organ donation as his as his mother’s next of kin. Hours later, back at home, he was glad he had. At that point though, Joey realized he didn’t know whether he had made the same choice or not. 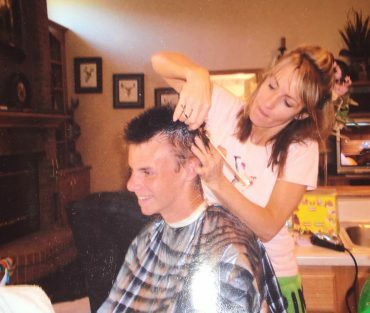 It was that moment – his mother’s death and realizing he didn’t know either of their status — that turned Joey Gase into an organ donation advocate. Joey decided to do everything he can to promote organ donation. In many cases, he said, people aren’t opposed to registering – they just don’t take the time to do it. 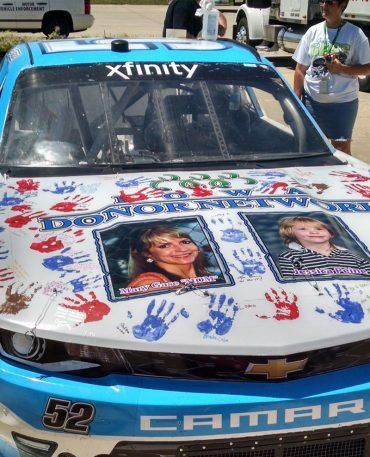 So he helps to remind them, by putting the names and faces of organ donors on his race car. One of those pictures will be Tyler Patnaude, a Cosby High School senior who died in a car crash in 2014. Tyler was an organ donor and his parents, Peter and Yvonne, have become organ donation advocates themselves in the wake of his death. On April 27, Joey will take his No. 52 Chevrolet to Cosby High where he and Tyler’s parents will talk to students about organ donation. He’ll also give the students a chance to put their painted handprints on his race car, which will also feature Tyler’s image. The opportunity to spend time with other families who also had to make the toughest decision, has been one of the keys to healing since his mother’s death, Joey said. 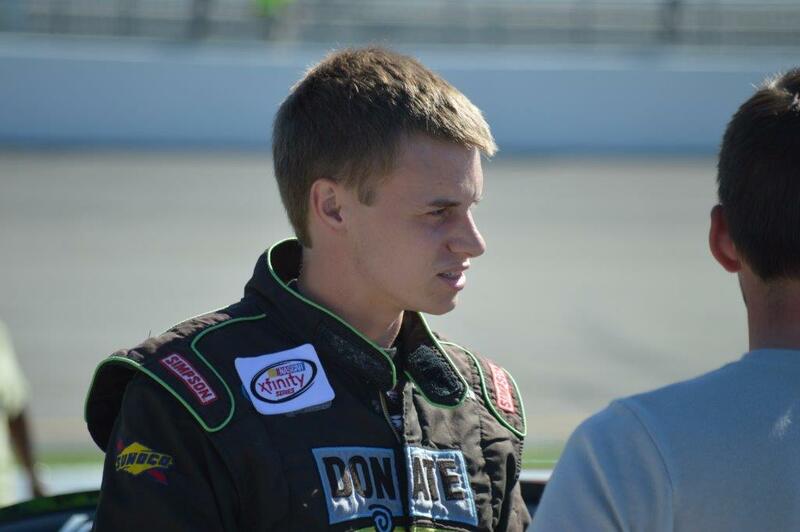 Joey will race at the ToyotaCare 250 NASCAR XFINITY Series race at Richmond International Raceway on April 29. In advance of the race, he spoke with Donate Life Virginia about his racing career and his efforts to raise awareness for organ donation. Where did you grow up? What drew you into racing in the first place? How long have you been racing with NASCAR? I grew up in Cedar Rapids, Iowa. My father, Bob, raced before I did so I grew up at the track and the shop wanting to race. I was always excited to go cheer on my dad at the track every Friday night. 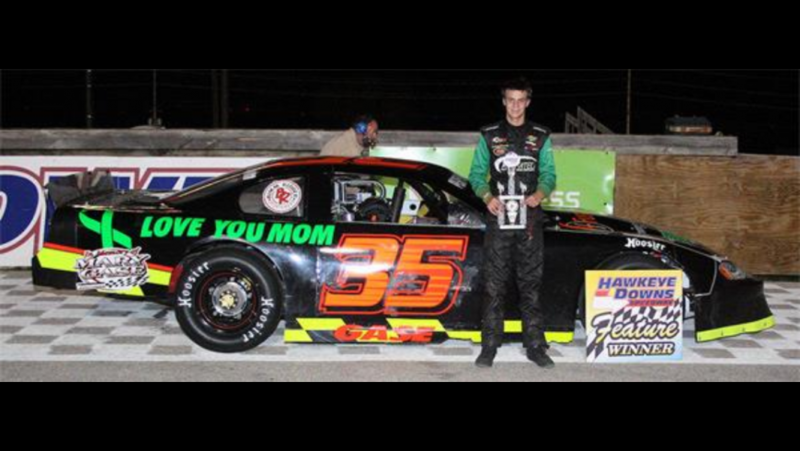 My first NASCAR start was in August 2011 at Iowa Speedway at the age of 18 in the NASCAR XFINITY Series (then it was called the NASCAR Nationwide Series). Joey with his mom, Mary Jo. Tell us about your mother. Were you close? How would you describe her? My mom was a very loving, hard working, and caring person. She always tried to live her life by example for my sister and I and always made sure if she made a mistake to apologize. She was a hairstylist and a very good friend to many. I never realized how many lives my mom made a difference in until the day of her wake. The line ran out the door for hours with those that wanted to say one final goodbye to her. What’s the most common question you get when you speak to people about organ donation? What do you tell them? The biggest misconception I always hear is that if I am an organ donor the doctor won’t do everything they can to save me. I learned first hand with my mom that this is not the case at all and that the transplant team is a completely different team. The doctor’s job is to take care of your well being and to save your life, if there is someone they cannot save they feel that they have failed and this is the very last thing they ever want to happen. What would you say to people who are on the fence about signing up? I would first ask them why they would not want to be one. Often times they cannot give me an answer. Then I say well if you can’t give yourself a reason on why not to sign up don’t you think you should? They then often agree and sign up. I tell them how my mom was an organ donor and helped save and improve the lives of 66 people and how she would be so proud to know that. I also tell them how life-changing it is and that we have met two of her recipients. What do you wish more people knew about organ donation? I wish more people would know how many people are passing away on the waitlist every day, that organ donation is no cost to you or your family, that you can be a donor at almost any age and always say yes and to let the doctor decide.